After a comfy sleep in our cabin, we were up bright and early for a full Scottish breakfast including scrambled eggs & bacon cooked to order, porridge, breads and fresh fruit. 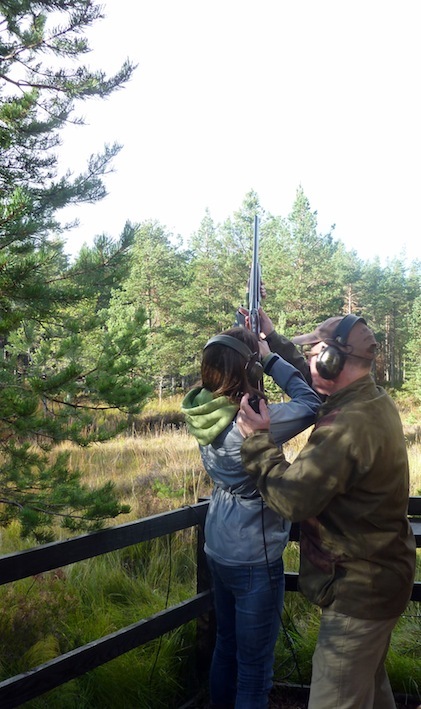 Not long after breakfast we arrived at Rothiemurchus Estate, where the group choose to go fishing or to the shooting school. We choose the shooting school where John, the instructor, demonstrated to our group of ladies the different shooting simulators, which we all got to try out. During some mid morning coffee we had the pleasure of meeting Pippa Grant, the owner of the estate. 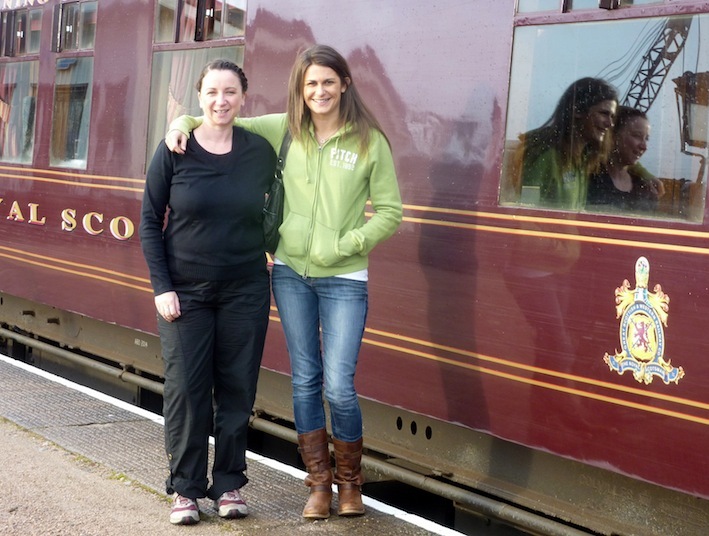 We met the Royal Scotsman train in Aviemore for a lunch of guinea foul and sticky toffee pudding (yum!) as we journeyed on to Cairngorm to meet the coach once again. The coach took us to Culloden – the famous site of the 1746 battle where the Jacobites were dismally defeated by the Army of the Duke of Cumberland – a loyal patron of the British Government. We strolled onto the battlefield and listened as our guide Ray, who was dressed in costume as if he were in the battle, told the dramatic story. Culloden is seeped in history and the romanticism of Scotland’s turbulent history. We met the train (and the lovely staff!) at Nairn where we were welcomed into the train with a Kir Royale cocktail which set the tone for the glamour of the evening’s gala dinner. With the beautiful sunset over the vast landscape, we settled down to relax, every now and then popping out to the balcony to see the view from there. The gala dinner was a feast that was a true credit to the chef and his staff, who worked out of a very compact moving kitchen! Starting with scallops, then moving on to a fillet of Shetland beef – of course cooked to our requirements – followed by a chocolate fondant dessert and a huge cheese board selection. Thinking we were too full and content to do anything more we moved to the Observation carriage where a fiddler and accordion player entertained all us guests. It must have been the music (or the kir royale from earlier that day), but all we wanted to do was ceilidh dance to the great music! We asked Sandra if we could leave the train to dance on the platform where the train had stopped for the night – Dundee Station, and hurray we were allowed! The station was shut and no one else was around as we spilled onto the platform with the musicians. Being the only two Scot’s on the train, it was our duty to teach the other guests how to ceilidh dance the night away…so we did! We woke the next morning a little disappointed that we’d soon be leaving the Scotsman, but nevertheless hurried to breakfast to enjoy the last few hours of our journey. One of the highlights of the journey back to Edinburgh was the view of the famous Forth Bridge as we crossed the river Forth. The Scotsman is the only train with an open balcony that travels across the bridge. You can stand at the back of the train and look up into the intricate steelwork (some would say the artwork) of this magnificent structure – a privileged sight for the eyes of Royal Scotsman travelers only. 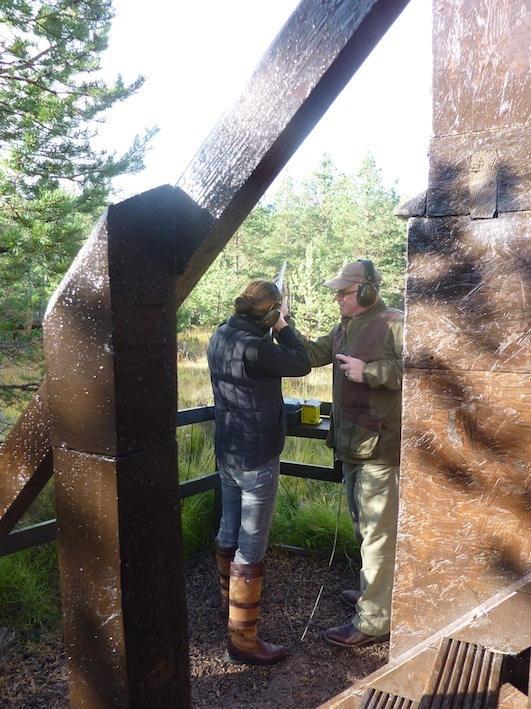 Is the Royal Scotsman suitable for incentive groups? Sometimes it’s a risk to include ‘out of the ordinary’ elements in your program, despite the craving our industry has for originality and the ‘wow’ factor. This is a particularly difficult decision when it’s something that runs over most or all of the incentive period – you could say it’s putting all your eggs in the one ‘incentive basket’. If you'd like to include a journey on the Royal Scotsman in your next incentive trip to Scotland, contact either myself or Kirsty - we'd love to chat about it!